A cat leads a pretty simple life compared to we humans. Next to napping, the most significant part of your pet’s day is either eating or pooping. As a result, litter boxes play an extremely important role in the life and therefore the health of your cat. When you understand the importance of a clean litter box in your cat’s life, a self-cleaning litter box will make perfect sense to you. This simple pros and cons list will help make the selection a litter box a lot easier. and improve both your life and that of your cat. You will save a lot of time and hassle with a self-cleaning litter box. The time taken to scoop cat poop, a truly dirty job, is yours again when the box scoops for you. While you will still have to empty the waste drawer once it is full., the scooping job is done and emptying the soiled litter becomes easier, is faster, and cleaner for you. The litter space would remain completely free of odor and mess as the litter box cleans after every use. Removing the poop into a waste drawer will help prevent unwanted odors. These litter boxes do work better with more premium clumping litter. If the clumps break during the sieving process, there is more waste and spread of soiled litter into the clean litter. Premium quality litter has features such as fast clumping, low dust and will mean a quality product for your pet that will not result in health concerns or side effects for you or your pet. Because an automatic litter box reduces the amount of litter you use, it is more affordable to use a better litter that is more effective and better for your cat. 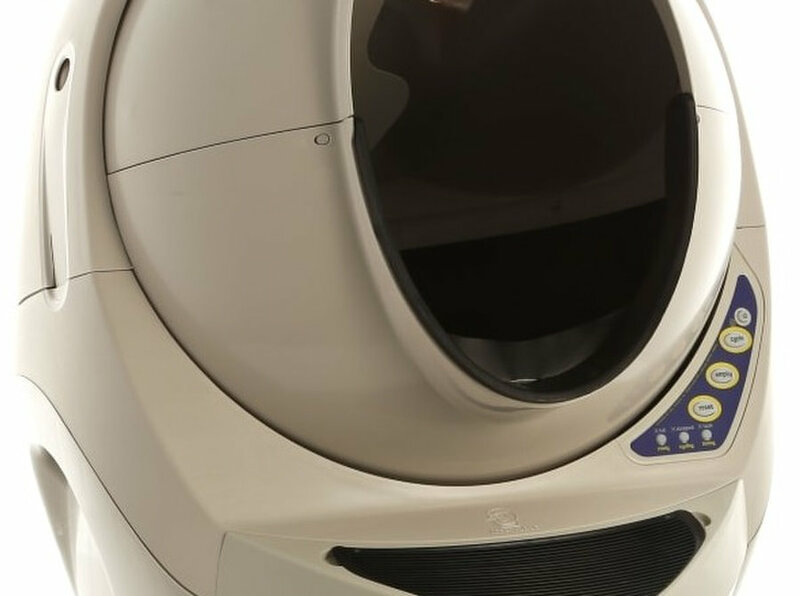 The price may make you hesitate but automatic litter boxes offer attractive pricing with home delivery, for litter that is perfect for your robotic helping hand. Check out a starter deal here that is bound to sway your decision. So many people have to give up their pets when they get pregnant or other significant changes in their life occur because they cannot take care of their lovely Furballs. Pregnancy is specifically mentioned here because cat urine is said to be harmful to the health of the fetus thus pregnant ladies find it incredibly hard to carry out the litter cleaning duty. An automatic litter box can save you from a painful separation process from your fur baby due to the arrival of a human baby. 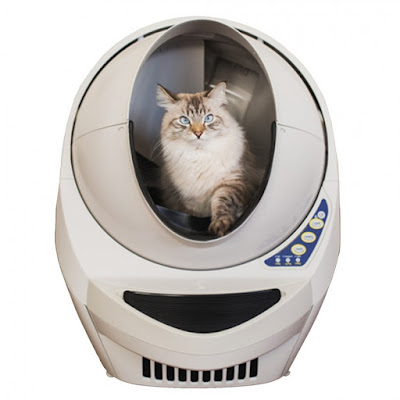 Self-cleaning litter boxes are rather a high end when it comes to price points, and represent a big initial investment. Especially when you are the owner of multiple cats, you may not be able to afford the necessary, required number of litter boxes for your pets. This is the kind of thing that may ward you off self-cleaning litter boxes and stick to the traditional litter box. However, the choice of mixing and matching is always present decreasing your litter cleaning labor a great deal. Many automatic litter boxes are designed for multiple cats, which makes the purchase more economic over a number of litter trays and the room and time needed to maintain these for many cats. Reduced amount of litter needed can also pay back the purchase over time. 2) Your Cats May Not Use It! Cats are incredibly selective pets; everyone is aware of their hoighty nature yet we still love them. The mechanical nature of the product causes it to produce noise that is absent in other litter boxes. The excessive movement may also ward off some cats from using the litter box altogether. The semi-enclosed space may also be an issue for some cats, whilst others like the added privacy. Thus it is extremely important to be aware of your pet’s quirks before reaching a decision. Check the help department to ask questions before purchasing, and also review if there is an option for return if your cat is not happy with the new litter box. Owning a cat is a difficult task; I believe every cat owner would agree with that. No matter how much you love your cats, the one thing you just cannot handle is cleaning your cat’s dump 10 times a day! Which is why, thanks to technology, there is now an automatic litter box available in the market. Self-cleaning For starters, its self-cleaning!, which means that you don’t have to go through the trouble of cleaning your litter box again and again. Half of your time is saved just by setting up this litter box and cleaning it once every week. Cats are exposed to a lot of danger outside of the safety of your home! This is not just a statement; this is a fact. I have seen cats hurt on the street due to different reasons and people don’t even care enough to help them. If you have a cat, you will understand how much it hurts to see another cat being harmed, even if it is not your own cat. Here are some of the things that prove that cats are safer indoor: 1. 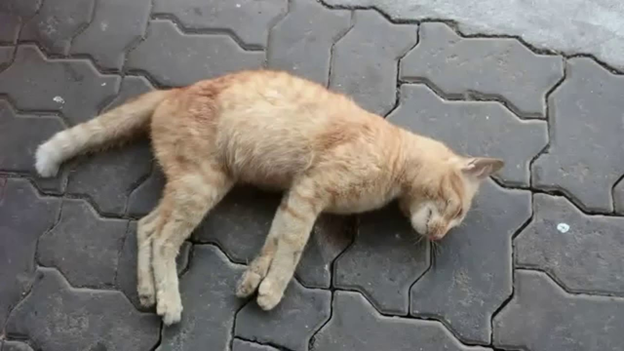 Won’t get hit by vehicles: So many cats get hurt or die by getting run over by some car, bus or any other vehicle. You wouldn’t want that to happen to your cat, would you now? The only safe option against this is if you keep your cat indoors because you never know what can happen.